Any hopes for World of Diablo/Starcraft/Lost Vikings should be promptly flushed down the drain, as Blizzard has confirmed that their new and unannounced MMOG is a new franchise being built "entirely from scratch." Bad news for anyone hoping that Blizzard would be giving one of their other marquee franchises the World of Warcraft treatment with their new and still-unannounced MMOG. World of Diablo? Not happening. World of Starcraft? Nope. World of Lost Vikings? I'll keep the dream alive, but it's a flame barely burning. The confirmation comes by way of a post on the official WoW forums by a community manager Zarhym. 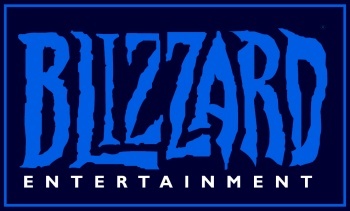 In his extensive response in a thread speculating that Blizzard is going the way of Everquest studio Sony Online Entertainment, Zarhym, in the process of rebuking some points, revealed that the new MMOG will "be a brand new franchise, which means the lore, art, and game play are being developed entirely from scratch." So while that's bad news for anyone hoping Blizzard would retread its old franchises, it's good news for people who have been wishing for the studio to try something new. Unfortunately, it sounds like it's going to take a long time. Building games from scratch is "an overwhelming process, but a process through which we excel," Zarhym said. Considering he also reminded everyone that "games take years to develop from concept to release," and that he describes the new MMOG as "a shell of a game thus far," I don't even know if we should expect an announcement at this year's Blizzcon.